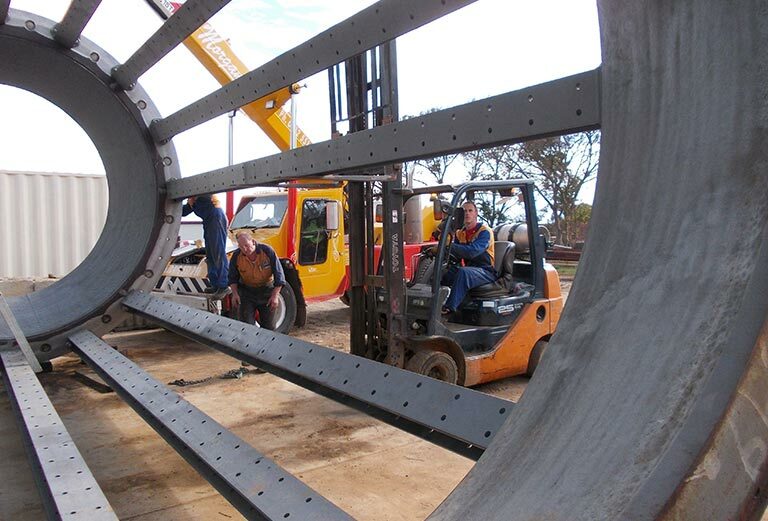 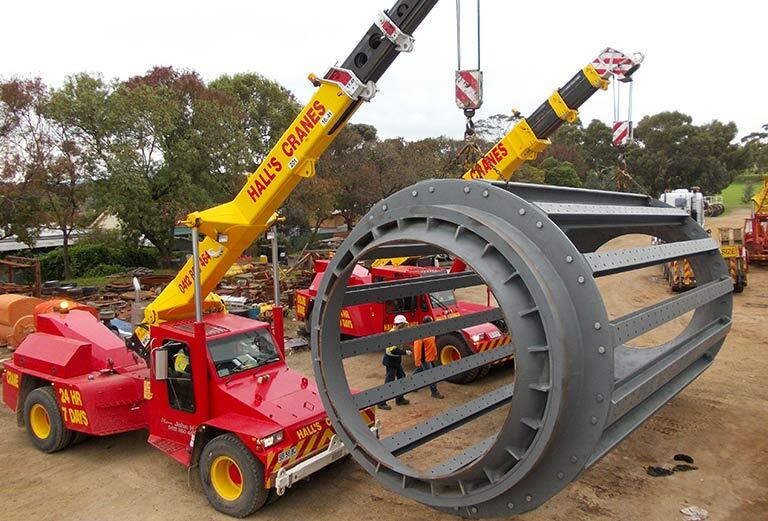 Alinta Energy - Leigh Creek - Heavymech Pty Ltd.
Heavymech completed the refurbishment of the rotary breaker for Alinta Energy’s Leigh Creek coalfield. 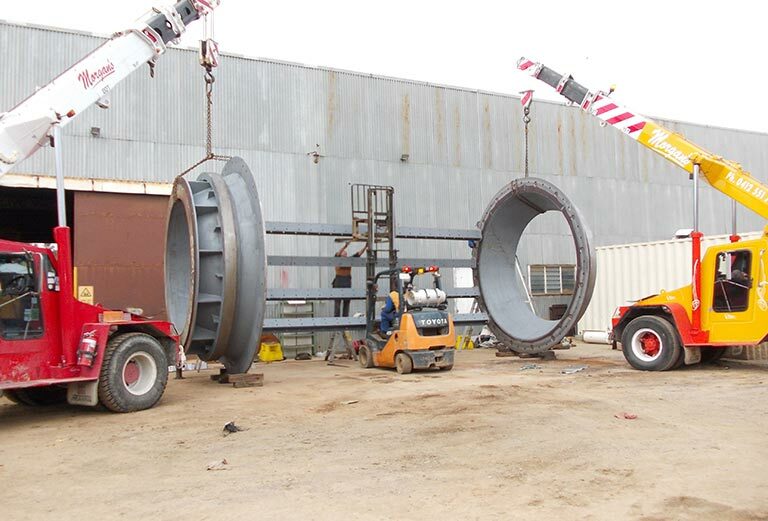 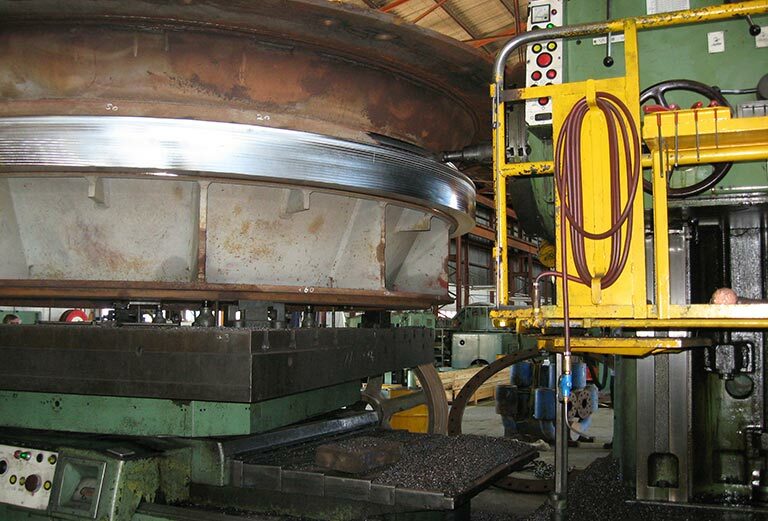 Heavymech received the used and heavily corroded rotary breaker end cones and reconditioned these items by weld reclaiming the heavily corroded areas and subsequently machining the mounting flanges and running tyres back to specification. 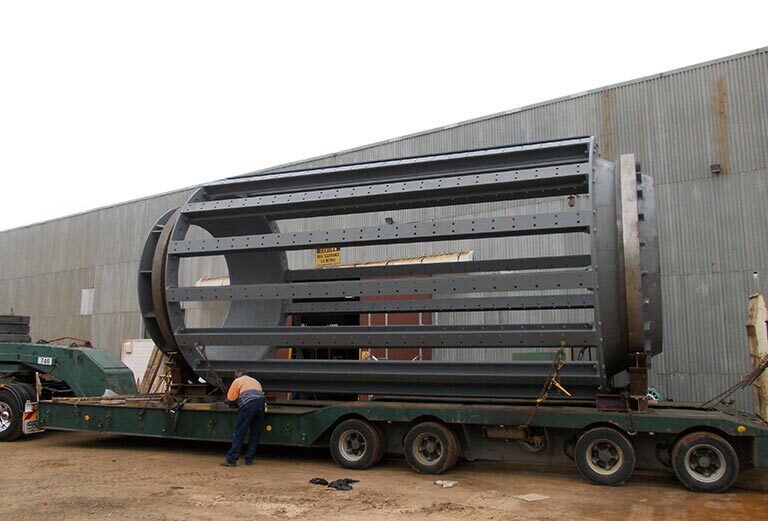 A full set of support beams were manufactured and the rotary breaker was fully assembled on our premises and loaded onto transport for ease of installation on return to the coalfield.